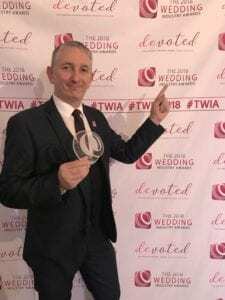 The 2018 Wedding Industry Awards West Midlands Regional Winner Owen Strickland. 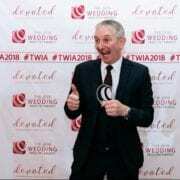 I’m delighted to announce that I won TWIA for a second year on the trot. 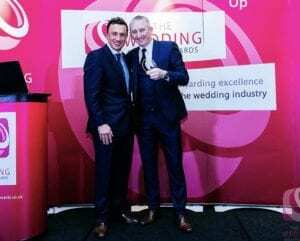 Last year I won the Best Wedding Entertainer Award. This year categories were merged into “Special Touch” and i was thrilled as my name was read out. I couldn’t attend last years ceremony as I was on hoilday, so it was wonderful to be able to attend and pick up the trophy in person. 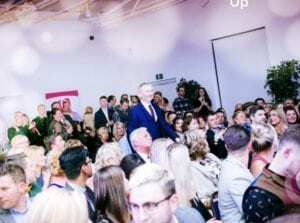 What makes these awards the best awards, is that only brides and grooms whose wedding entrants have performed at within the last 12 months can vote. They submit a series of scores and reviews and then the judges have a look to see who they feel should win. I will not get the voters comments util January after the National Finals. The Finals are again at the stunning Cafe De paris in London and I will be there again, hoping to sneak a win this year. I have to say a massive thank you to the couples who have kindly voted for me this year. I had 60 votes, which is humbling.